Uit sy loopbaan in die Suid-Afrikaanse Polisie word kolonel Terry Terblanche veral onthou as die man wat in 1960 ŉ bloedbad in Kaapstad voorkom het deur die bevel van die Minister van Justisie te verontagsaam en te weier om geweld te gebruik. Maar hy was ook – naas ŉ toegewyde gesinsman – altyd ŉ gemeenskap- en bewaringsmens. 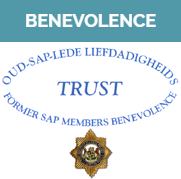 Hy was hoofouderling van sy kerk, betrokke by die Padveiligheidsvereniging en het byna eiehandig ŉ doelgeboude sportterrein vir die Polisie in Pinelands tot strand gebring. Ná sy aftrede was hy jare lank voorsitter van die Stigting Simon van der Stel en bestuurslid van die Hugenotevereniging, en in 1962-1963 het hy die Goue Jubileumfees van die Botaniese Tuin Kirstenbosch georganiseer. In hierdie dokument gee sy seun Naas nietemin ŉ boeiende oorsig van hierdie besonderse man se loopbaan en lewe. My pa het nie die gebruiklike rangverhoging ontvang met aftrede nie. Hy het baie teleurgesteld en vernederd gevoel. 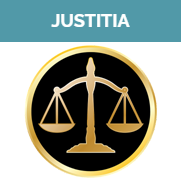 Die rede hiervoor is duidelik uit sy bogenoemde verklaring en die algemene siening van die tyd en is ongetwyfeld dat die destydse Minister van Justisie nie saamgestem het met sy optrede tydens die Langa-opmars nie. wat my pa tydens sy polisieloopbaan en ook daarna op verskeie fronte gelewer het. Die toekenning is egter deur my pa gesien as ’n regstelling van ’n onreg. The man who used words instead of bullets when 30 000 people marched on Caledon Square police station in 1960 has been promoted after 27 years. Suggestions at the time were that his promotion was deliberately withheld by the then Minister of Police, Mr Frans Erasmus, because he failed to obey orders. “I was blamed for not using force. 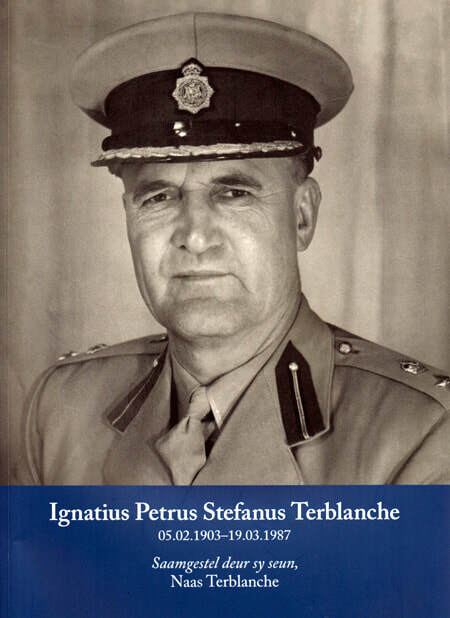 I was an outcast, even among my colleagues,” Honorary Brigadier Ignatuis Petrus Stephanus Terblanche, 84, said last night after his promotion was announced by the Minister of Law, Mr Adriaan Vlok. “But if I had used force, it would have been a massacre,” he said. “My elevation in rank was obviously withheld because of what happened,” he said. On March 30, 1960, 30 000 people marched to Cape Town, led by Pan Africanist Congress regional secretary Mr Philip Kgosana, to demand the release of prisoners. Brigadier Terblanche persuaded them to turn back. 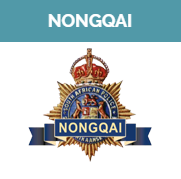 His promotion was announced at a function attended by more than 50 senior policemen, including Lieutenant-General H G De Witt, acting Commissioner of Police, Major-General Chris Swart, former divisional commissioner of police in the Western Cape, and his successor, Brigadier Ronnie van der Westhuizen. Afterwards Mr Vlok said the promotion was not righting any wrongs of the past. Brigadier Terblanche was honoured because of his work following his retirement from the police in 1961. This included his service as director of the Kirstenbosch golden jubilee celebrations and as vice-chairman of the Cape Peninsula Road Safety Association. Accepting the honour, Brigadier Terblanche told how he defused the situation in 1960 and later, in an interview, explained why he believed, that by not acting on the Minister’s orders, he had been denied promotion. He said that as deputy commissioner of police he had been contacted and told that a great number of people had gathered outside Caledon Square and the police could see no way of handling the situation. He and a colleague went to see what was happening. He was then called to the telephone to speak to the Minister and when he had finished the call, he was “very worried”. It was then he was given instructions which he failed to carry out. Brigadier Terblanche went outside and a member of the huge crowd spoke to him. It was a conversation that had a great effect on him. With tears in his eyes, Brigadier Terblanche said the man told him he would never forget him. The man, who was a cook in the police officers’ mess when Brigadier Terblanche was district commander in Wynberg, had been assaulted by a policeman and Brigadier Terblanche fined the policeman the maximum fine, 5 Pounds. He told Brigadier Terblanche that the crowd was waiting for their leaders, including Mr Kgosana who was waiting nearby with another huge crowd. Brigadier Terblanche spoke to Mr Kgosana who demanded that people who had been arrested be released. Brigadier Terblanche told him “this is not the way to act if you want to see the Minister”. He told Mr Kgosana to tell the crowd to disperse and go home. He would take a message to the Minister and Mr Kgosana should come back with two or three friends. 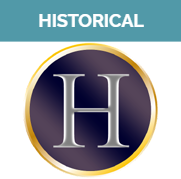 “What happened next is history,” Brigadier Terblanche said. The crowd dispersed peacefully. When Mr Kgosana returned to meet the Minister he was arrested. 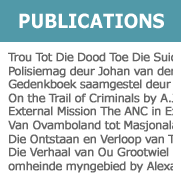 ​A PDF copy of this book, written in the Afrikaans language, was made available on this page for free downloading through the courtesy of the author, Naas Terblanche. 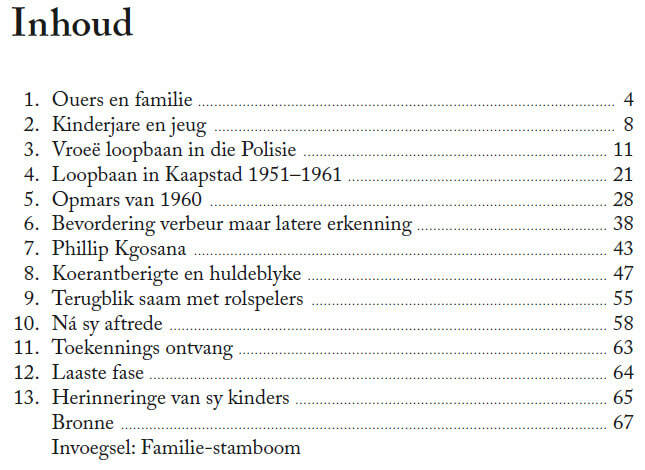 ŉ PDF-kopie van hierdie boek is beskikbaar gestel op hierdie blad vir gratis aflaai deur die hoflikheid van die skrywer, Naas Terblanche.